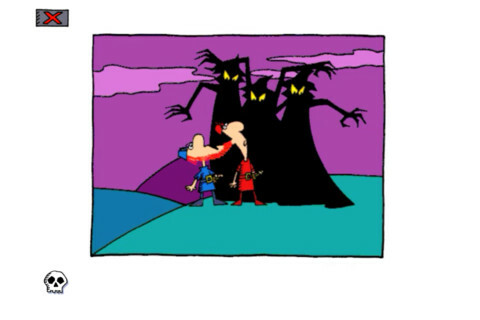 Who, exactly, is the audience forThumbnail Theatre: Macbeth, developed by Michael Mills Productions? Is it high school students, who refuse to do the reading for their English class? Is it for Shakespeare lovers, looking for a deeper understanding of the text? Or could it be both? 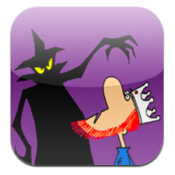 Though the price tag is a bit steep, students, educators, and lifelong learners can all find something to enjoy in this educational, fun iPhone app. 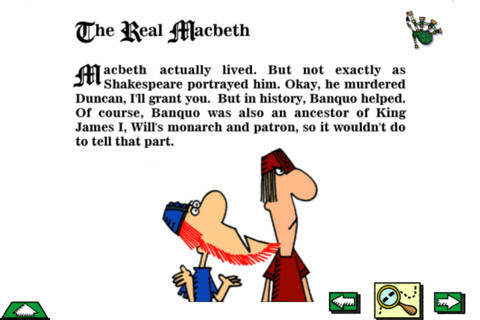 If you want to master both the text and the world of William Shakespeare, Thumbnail Theater: Macbeth is your ticket. 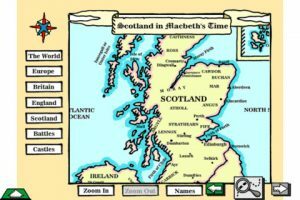 If you really struggle with Shakespeare’s language, the interactive content in this iPhone app will help you breeze through the plot in less time than it might take you to read the play. 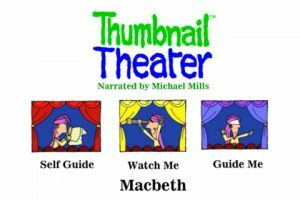 Thumbnail Theater: Macbeth features over three hours of interactive content, including anecdotes about Shakespeare himself and information that enriches the world of the play. Unlike dry online study guides or ancient cheat sheets, the iPhone app excels at making the information seem lively and compelling. Mills states that Thumbnail Theater: Macbeth is suitable for kids as young as 9 or people as old as 99, though its a little hard to picture a grade school kid learning all the gory details of “Out, out, damn spot.” After all, this is a play that ends with a beheading. 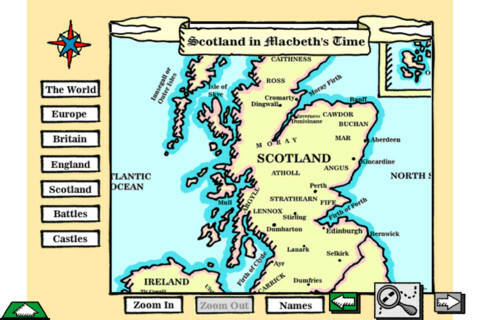 It’s rare to find an iPhone app that we’d recommend so enthusiastically at such a high price point, but this unique app is kind of a must-have if you’re struggling in school, or charged with teaching the Scottish Play to a horde of average or below-average students. While it may have sort of a niche audience, people long since out of school might find that with the help of Thumbnail Theater: Macbeth, they can finally enjoy a play that they hated in high school. Thumbnail Theatre: Macbeth is compatible with iPhone, iPod touch, and iPad. Requires iOS 4.0 or later.